House repair and maintenance is not a seasonal job. Throughout the year, you will encounter all sorts of problems related to your house and neglecting just one of them can certainly have disastrous consequences. Delegating everything to a professional, however, can be quite costly, so if you wish to save on money and time as well, you can start by learning various simple to do woodwork repair tips and turn yourself into a DIY homeowner. Scratches and other noticeable flaws on your walls is always a great eyesore. Unfortunately, it’s something that you have to bear with for a long time or until all your children have sufficiently grown up enough to understand that desecrating the home walls in an absolute no-no. 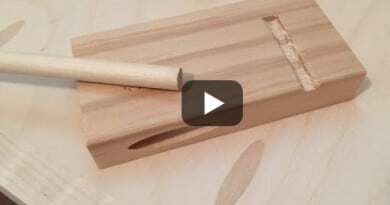 In the meantime, you can rely on DIY woodwork repair tips to resolve this predicament. Small and slight scratches can be easily remedied with a bit of sanding and refinishing. If large scratches occur on paneled walls, your biggest problem would be finding a perfect match for your wall’s colors after removing the scratches. One possible solution is applying wax that has the closest shade to your walls’ color. Be aware that a surface layer of wood finishing is generally applied as protection for interior woodwork. If you wish to clean them, you need to ensure that you don’t destroy its finishing while doing so. 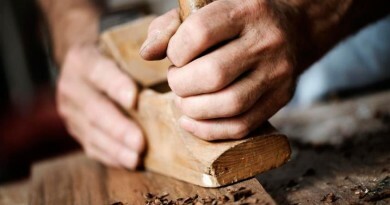 Interior woodwork makes use of various types of finishing and each type has its respective way of cleaning. 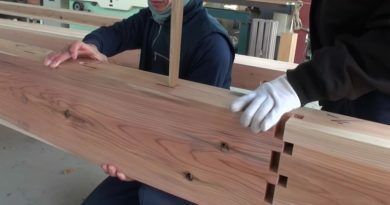 Click Here to Read: Ancient Building Techniques Joins Wood Without Glue or Nails, Reversible Too! Firstly, woodwork that makes use of natural oil as protection should be wiped clean with one that makes use of natural ingredients as well. Woodwork that relies on wax protection can also be cleaned with all-natural polishers or one that’s specifically designed for waxed surfaces. Lastly, plastic wood can be cleaned in the ordinary way: that is, with water and soap as well if you so prefer. If your wall – or any woodwork object for that matter – is suffering from a holed identity, there are several things you can do to address this problem effectively. If it’s only suffering from small holes, you can fill it up with putty – which, by the way, is also used to repair glasswork – then even out the surface from excess putty by sanding. Apply the appropriate wood finish if necessary. Big holes on the other hand can also use putty or other filling substances. When relying on filling alone, your biggest problem is finding one that could match your woodwork’s original shade. 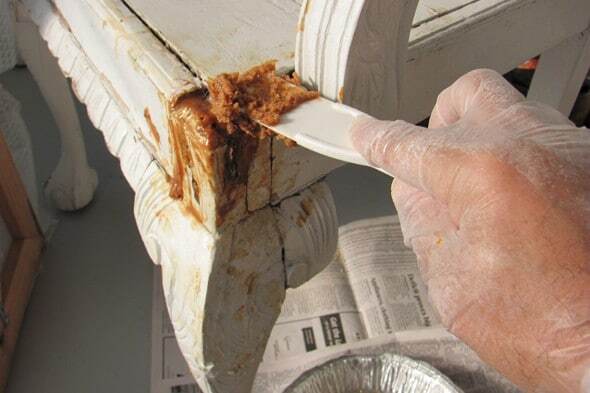 If however you prefer to glue a new piece of wood to cover the hole, make sure that you get rid of any excess substance from all sides and end the process by applying finishing once more. Trimmings and moldings, primarily because of their location and the amount of exposure that they’re subjected to damaging factors, are usually the first ones to require repairing. Although they are not as burdensome as other woodwork repairs, they do however require an advanced level of precision and skills from you. Just take your time considering the extent of damage and you’ll figure out by yourself the best thing to do. DIY woodwork repair around the house doesn’t only help you save money and time but also represents a significant contribution in your part in ensuring that your home continues to be safe and comfortable for everyone.